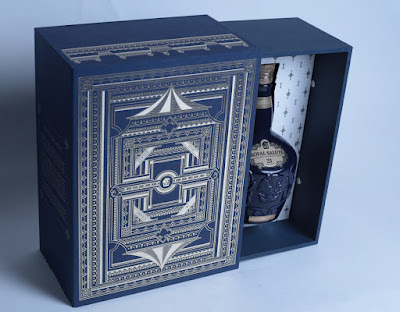 Royal Salute, the exceptionally crafted and aged Scotch whisky, has unveiled the first in a new range of limited edition gift packs that bring to life the unique heritage and rituals which were there to celebrate unity and peace between the British and French crowns in 1520. The pack that has been launched in October 2016 contains a bottle of Royal Salute 21 Year Old and, under the guidance of British designer Tom Lane, illustrates the feast of the Field of the Cloth of Gold. Raja Banerji, Assistant Vice President, Marketing, Pernod Ricard India, said: Royal Salute is a brand that exudes refined luxury and rich traditions. The Royal Salute limited edition festive pack has been handcrafted to artistically present the splendid legacy of Royal Salute which is appreciated by the connoisseurs of the modern world. The unique design element of this pack in the form of “The Field of the Cloth of Gold” is an expression of the sheer prestige which is meant for those who appreciate the finer things in life. Tom Lane is one of Britain’s foremost calligraphy artists and illustrators, with over a decade of experience in the industry. His work is instantly recognisable, encompassing intricate pack designs and playful typographic posters. Tom took inspiration from the rich awnings at the site of a historic meeting held in 1520 between the kings of England and France. The royal feast is still remembered for the rich gifts and temporary palaces that were built of such glittering wealth that the site was dubbed ‘the field of the cloth of gold’. Royal Salute’s signature whisky – Royal Salute 21 Year Old – is held within the gift pack, alongside a fine crystal glass which further adds to its Ultimacy. Created to celebrate the 21-gun salute – a tradition of firing guns for special royal occassions – the product combines rare malt and grain whiskies aged for a minimum of 21 years, giving connoisseurs a complex and sophisticated drinking experience. It is priced in Delhi – MRP Rs 14,900.